A very Merry Christmas to all readers and constituents. I hope that Christmas brings you joy and hope and brings justice and peace to the world. At this week's Social Work and Health Committee I spoke on the report which looks at the standards in Care Homes in the city. I pointed out that it is essential that the council ensures that it promotes high standards in care homes. Through the Free Personal Care policy millions of pounds are being spent in Dundee on care homes. I would urge anyone who has a loved-one in a care home to take a good look at this report. I raised the iniquity that council run care homes have inspection reports reported to the council's Scrutiny Committee. Bear in mind that there are huge amounts of public money being spent in the non-council run care homes. I think that the public deserve that someone will examine the reports written by the Care Inspectorate. We cannot allow public money to be spent without some oversight of how it is being spent. I was pleased that the Convener of Social Work and Health agreed with my suggestion that we should be looking for some way to ensure that reports for all care homes where public money is spent are reported to the council's Scrutiny Committee. The reason for this is to ensure that standards in care homes across the city are improved for all of the vulnerable people who are using these services. I look forward to progress on this issue. On Wednesday I moved a motion at the City Council's Scrutiny Committee calling for the council to bring forward a report to make schools cashless. The Scrutiny Committee was considering a report on the 'Processes and Systems in Place for the Management of Cash within Schools'. This report came forward as a result of the misappropriation of cash with a school in the city. I amended the report to ensure that a report will be brought forward which will look at how smart-card technology can be used to move towards a scenario where money is all but eliminated from schools. I am concerned that money being handled in schools can lead to problems such as the misappropriation of cash, or bullying of young people for their money, or young people being stigmatised for not having money. I had received a briefing from council officers which stated that the council could use the smart-card technology available to it a lot more and do more things and innovate. I was pleased that there was cross party support for my idea at the Scrutiny Committee and that Councillor Jimmy Black seconded my idea. I think we could get to a point where no child has to take cash to school, when all meals could be paid for using a smart card. Where schools trips and other incidental expenses could be paid for using a smart card. I think that there is a lot of scope here to improve security as well as eliminating any stigmas associated with having access to events subsidised, for example. The technology might not be ready just yet but I think that we should have as our long-term goal creating a cashless environment in our schools. I am looking forward to a report being brought forward to the Education Committee in the near future. 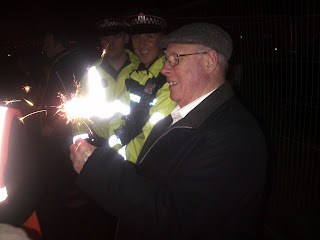 On Tuesday evening I attended a meeting of the West End Community Council . 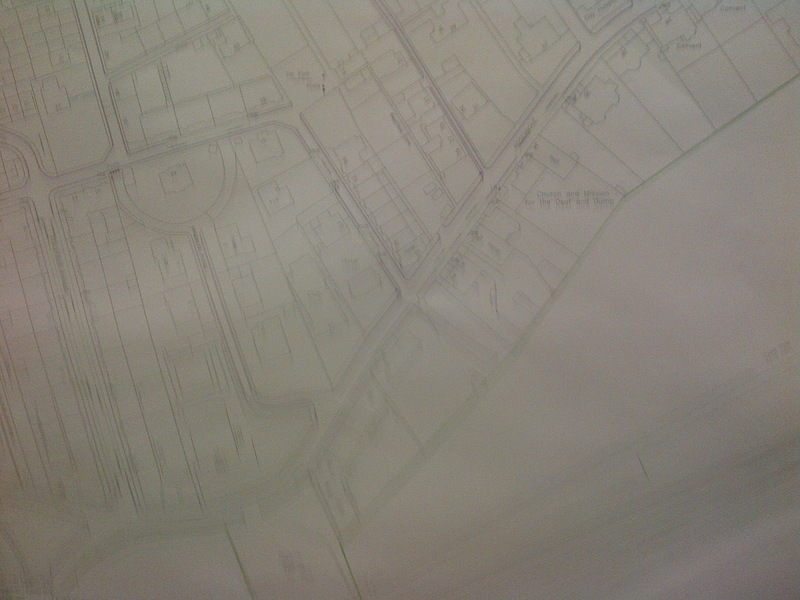 The main item was a discussion on the important issue of the proposed Residents' Car Parking Scheme in the West End. There was a good attendance at the meeting and the council's Head of Transportation outlined the plans and answered questions. No local residents spoke in favour of the proposals and there was a vote at the end of the meeting which unanimously voted against the proposals. I believe that there are some people who have supported the proposals but I have to say that nobody has spoken to me in favour of the proposals. However, it is really really important that local residents respond to the consultation before it closes on Friday 21st December. At the meeting of the Policy and Resources Committee last night I was pleased to be able to second the Lord Provost when he moved that an Action Group on Remploy should be set up. I called for an item to be placed on the agenda on Monday evening about the closure of Remploy. I am glad that the council's Administration listened to my call and brought forward these proposals. I think that we, as a council and as a city, should make clear our extreme concern about proposed closure of the Remploy factory in Dundee, as it says in the note, but it is important that we look at practical things that can be done either by the council or others to assist the workforce at Remploy. Mr Cramb suggest s a few ideas for the future of the future of Remploy and I will be tabling these to ask that the Action Group takes his practical suggestions on board. A few years ago both Erik and I served on a Corporate Social Responsibility working group of the General Assembly of the Church of Scotland. I think that it is safe to say that the actions of Remploy and the UK Government over the last few days leave a lot to be desired in terms of corporate social responsibility. It was important that the council sent out a clear message which said that we condemn the way in which the closure of Remploy had been handled by the UK Government. 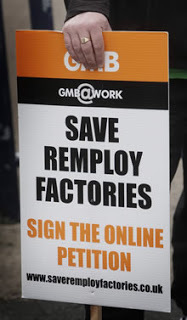 It is now time to look for ways in which the UK Government, the Scottish Government and the City Council along with the workforce and their trade unions, and civic society search for ways to protect the jobs at Remploy. As regular readers will be aware I have been campaigning against legal loan sharks this morning I attended a briefing session on illegal loan sharks. This session was hosted by the government organisation Stop Loan Sharks. It was good to hear that something is getting done to deal with this terrible trade, which targets the poor and the vulnerable. It was disappointing to hear that loan sharks are probably operating in Dundee. You can find out more about loan sharks in this leaflet. We heard about an example of an illegal loan with an APR of 719,000%, and even of an APR which would be the equivalent of 11 million per cent. If you have information about loan sharks please call Stop Loan Sharks on 0300 555 2222. 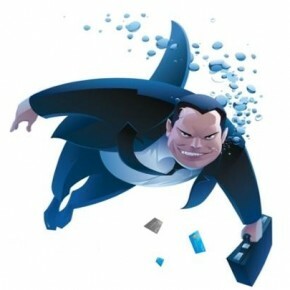 It is important that people are aware of the various alternatives to loan sharks such as Discovery Credit Union. It is important that the message is clear that loan sharks are not welcome in Dundee and that the council, the police and others will work to stop them. On Friday I wrote to officials of the council seeking to place an item on the agenda of the council meetings on Monday night about the disgraceful decision to close the Remploy factory in Dundee. 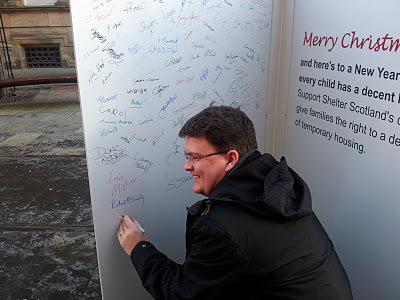 I am seeking permission to place an item on the agenda of the City Council or the Policy and Resources Committee on Monday evening which would condemn the decision by the UK Government, call on the UK Government to think again about closure or bring forward proposals to find alternatives to closure. The UK Government should also bring forward proposals to find employment for those who are being made redundant at Remploy. The Scottish Government should look at the sort of support which it can give to Remploy, for example, are there orders which the Scottish Government is about to let which could be procured through Remploy, new police and fire uniforms or protective clothing for example. The City Council should also bring together a plan to help the factory and support the workforce there. I hope that my request will be agreed to as it is important that the City Council speaks with one voice on this important issue and that we stand up for vulnerable workers in the city. I support the efforts being made by Dundee Labour Students to get all employees of the University of Dundee paid the Living Wage. I campaigned for Dundee City Council to pay the Living Wage, and I believe that it should be paid right across the public sector. I am more than happy to support this campaign by Dundee Labour Students to get the Living Wage paid at Dundee University. I strongly supported the moves which made the City Council pay the Living Wage and I believe that everyone in the public sector should be paid the Living Wage. As the local councillor for the university, and indeed as a graduate of the university, I will be writing to the Principal of the University setting out my support for the campaign and asking that he give serious consideration to implementing it. You can show your support for this campaign by Dundee Labour Students by signing their online petition. 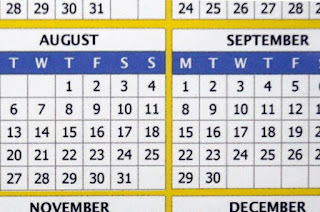 Today, 1st December 2012, is marked as World AIDS Day. 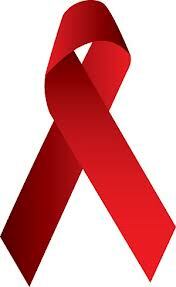 It is important that we all do everything that we can to deal with AIDS. We need to look for progress on the development of medicines as well as raising awareness of HIV/AIDS. You can watch the video here from the Robin Hood Tax Campaign. The video looks at the situation in Malawi and how the Robin Hood Tax could assist people with HIV/AIDS and deal with issues like poverty and climate change as well as deal with poverty in the UK. I support the Robin Hood Tax. I've joined with my colleagues Jenny Marra and Jim McGovern to put our full backing behind Dundee’s bid to become the UK City of Culture in 2017. Jenny Marra and Jim McGovern have tabled motions before the Scottish and UK parliaments asking parliamentarians to lend their support to Dundee’s bid. I am pleased that support for the bid to be UK City of Culture is now being shown in the House of Commons and the Scottish Parliament. 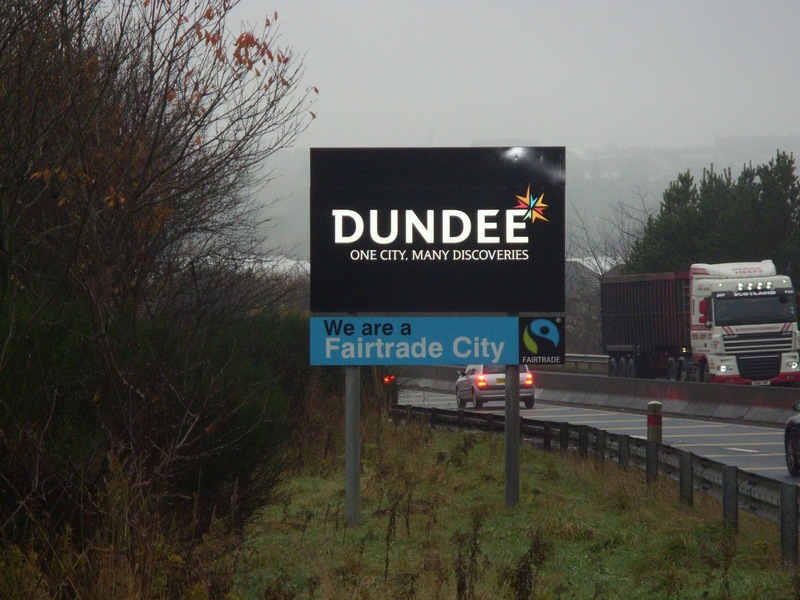 Now that the council has agreed to take forward the bid it is important that everyone with Dundee's best interests at heart takes the opportunity to promote the bid. The hard work of winning the title of UK City of Culture 2017 starts now. You can hear me speaking to Radio Tay about the campaign to win the title for Dundee. Jenny Marra's motion which has been tabled at the Scottish Parliament can be found here. Jenny Marra MSP said, “Dundee City of Culture 2017 would be fantastic timing for our city. We need to seize the momentum of the V&A and launch more opportunities for everyone in Dundee. We need to fire all the bullets in the air at the same time. Only by bringing more opportunities to the City before 2020, like the National Football Academy and El Sistema will we make the UK City of Culture work for all our communities and give all our children new chances to find their talents. I would like to wish everyone a very happy St Andrew's Day. I think that we should celebrate our national patron. It would be good if St Andrew's Day was celebrated more in Scotland. The feast day of St Andrew should be a good time to reflect on the history of our nation and look towards to future of our nation. In the West End ward we have the Catholic Cathedral of the Diocese of Dunkeld dedicated to St Andrew. The picture here is of the stained glass window of St Andrew from that cathedral. I suppose the question we are faced with is what does a two-thousand year old Galilean fisherman have to say to us in twenty-first century Scotland. According to the Gospel it was Andrew who found the boy with loaves and the fishes which led to the feeding of the five thousand, perhaps we should reflect on those who are hungry in Scotland today reliant on food banks and those who are hungry throughout the world. Whatever your view on religion perhaps we should use St Andrew's Day to focus on hunger rather than flags. Whatever you are doing I hope that you enjoy the Feast of St Andrew. At the Policy and Resources Committee there was a report about what the report called High Interest Rate Lenders - I call them Legal Loan Sharks. I was pleased to see the report before us as I have been campaigning about this issue for some time. 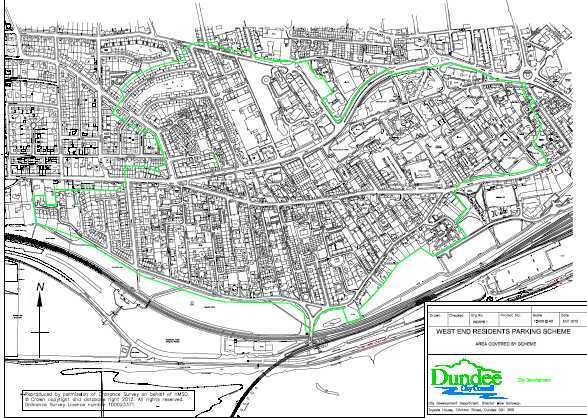 d) to bring forward an action plan to promote Credit Unions within the City of Dundee. e) write to the Scottish Government requesting that it examines its policies in relation to planning matters and whether it is possible to use planning legislation to prevent high interest rate lenders opening shops and if not to consider changing legislation to prevent the spread of high interest rate lenders' shops. The report before us was welcome as far as it went I sought to make an amendment which I believe makes the report more powerful. I was pleased that my amendments were accepted. 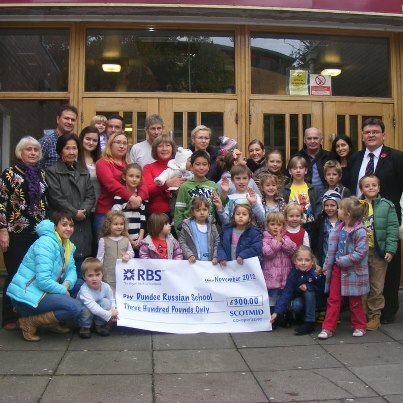 We need to ensure that we take action which protects the people of Dundee from High Interest Rate Lenders. These companies trade on the misery of others and we should be looking to bring in a cap on interest rates. We should be looking to develop policies which help anyone in debt. We should be calling on both the UK and the Scottish Governments to do all that they can to promote credit unions. I am normally against censorship but I did think that it was interesting idea that the council should look at blocking access to Legal Loan Sharks from any council computer. My amendments would ensure that the City Council also does everything in its power to promote credit unions. Credit Unions are important and they can provide a means by which people can help themselves. In Dundee everyone can be a member of the Discovery Credit Union. We should be promoting membership and we should be working with them to develop services for everyone in the city. Credit Unions can and should provide services for everyone in the city. In Ireland membership of a credit union is something like the same as the population. In North America in New England the main financial institutions are credit unions. We should be looking at ways of levelling the playing field between credit unions and high interest rate lenders. How can we get to the situation where it is credit union shops which are to be found on our high streets? Some of these Legal Loan Sharks are within a couple of hundred yards of the council chamber. How can we ensure that credit unions offer a full range of banking services? How can we ensure that people understand that credit unions offer the best option, the more ethical option in financial services? I think that the City Council could do more to promote credit unions. I also think that we should be looking at ways of limiting the number of high interest rate lenders in our shopping areas. I think that we should look at ways of doing this through our planning system. Council officers are worried that we cannot do this, then I think that we should at the very least ask the Scottish Government to look at how this might be done. I think that the Scottish Government should look to assist us by amending the law if need be so that we can either limit the number of high interest rate lenders on our high streets or better still prevent them. I know that we want our high streets and shopping areas to be vibrant but I would ask if we mean that to be at any cost? We should be sending out the message that we don’t support Legal Loans Sharks in Dundee and that they are not welcome to come here and trade on the misery of people here. We can all do our bit by supporting credit unions and we can do our bit by calling on the UK and Scottish Governments to deal effectively with Legal Loan Sharks and promote credit unions. I was pleased recently that the City Council agreed to an amendment which I put forward which committed the council to looking at paying the Living Wage to those contracting business with the council and also that the council should respond to John Park MSP's Members' Bill on the Living Wage. The Council produced its response at the Policy and Resources Committee last night. 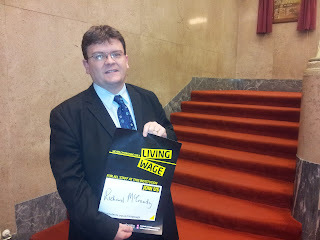 It is important that we take the lead, we did that by paying the Living Wage to Dundee City Council employees. I don’t think that we should stop there, it is important that we give a clear message that we think that anyone working on public sector contracts should be paid the Living Wage. I think that this response to the consultation is welcome I think that it could have gone further in being more supportive of the aims of John Park’s Members’ Bill. However, I am clear that we have a moral duty if we think that the Living Wage should be paid to City Council employees to say that it should also be paid to those whom we indirectly employ on contracts. We have a duty to promote the well-being of the people of Dundee; improving their pay would go some way towards doing this. The council has huge economic power I think that we should be making sure that we are doing everything we can to ensure that that economic power is used for the benefit of all of the people of Dundee. I am delighted to say that Dundee City Council has agreed to take forward a bid to be UK City of Culture in 2017 and to look at the possibilities of bidding to be a European Capital of Culture in 2022. I was disappointed that Dundee missed out on bidding to be UK City of Culture in 2013 but I am pleased that we are now working hard to achieve UK City of Culture status. I warmly welcomed this report. It would have been easy for me to make a cheap political point about the UK still being in existence in 2017 but this is much much more important than that. This is about saying that we collectively support Dundee. That we will do everything in our power to promote our city. 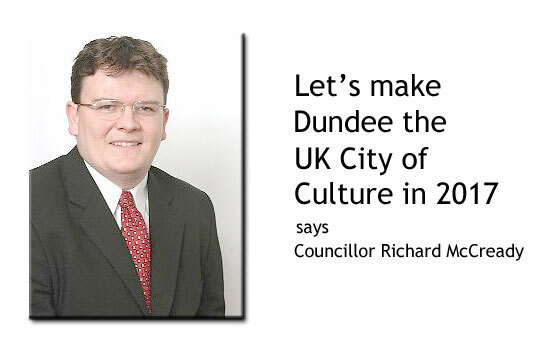 I think that Dundee is very well placed to win the competition to be UK City of Culture in 2017. We have the DCA, Dundee Rep, the McManus, Discovery Point, the Verdant Works, Sensation, the Mills Observatory, the Caird Hall, Broughty Castle, two universities and a college as well as schools across the city. There is also a very active amateur dramatic scene. There is also a lot of cultural activity right across the city. I’m sorry to the organisations which I have left out. But I would point out that this is even before that great British institution, the V & A at Dundee comes to town. 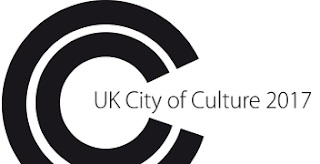 I’m glad that we are going to bring forward plans to bid for the UK City of Culture title, I am also pleased that we are not just stopping there the city should look to apply to become a European Capital of Culture. I would make a couple of pleas on this. 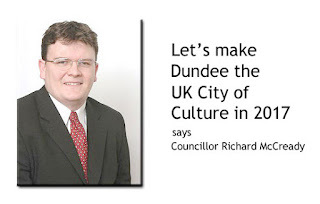 Any bid has to be about everyone in Dundee not just the cultural quarter. We need to ensure that any bid includes bringing the very best in culture to everyone in the city. It must also be about encouraging people to invest in the city and bring jobs to the city. The City of Derry becomes the UK City of Culture on January 1st and they have an excellent programme which celebrates the best in international culture as well as the best in local, Ulster, Irish and British culture. If the elected representatives of the City of Derry can come together to agree on this then so should we. I welcome this report and hope that it will be successful for the good of our city. At the City Council's Policy and Resources Committee last night there was an item which suggested that the Civic Cars should be upgraded. The plan was to replace the Lord Provost's current Volkswagen with a Jaguar and to replace the current second car, a Volvo, with a people carrier. There was no option appraisal in the very brief report so we could not tell which options were the best for the city. In recent months at the Environment Committee we have agreed a number of reports where the council has bought end of lease vehicles or has renegotiated the lease at the end of its term. I wanted to know why if this was good enough for the workers it is not good enough for the civic cars. We were also told that on occasion the council has had to hire mini-buses and therefore a people carrier is needed, I found this strange as the council owns a large number of mini-buses some of which appear to be underutilised. Thankfully, it was agreed to bring back a fuller report to the next set of committees and therefore the Lord Provost is going to have to wait before he gets his Jaguar. Monday evening saw the latest set of council committee meetings. At the Education Committee I was pleased to see that proposals are being brought forward for new schools in the Hilltown, Menzieshill and Kirkton areas. This is good news and builds on Labour's building programme which is coming to fruition just now. It is important that parents, pupils and local communities make their voices heard on these proposals and respond to the formal consultation processes and play an active part in the project boards when these are established. 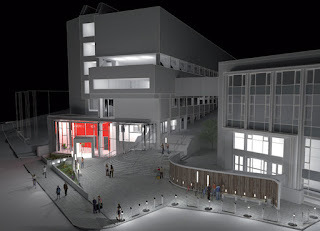 At the City Development Committee my colleague Councillor Laurie Bidwell had done the council a service by noticing that work was about to start on a contract at Douglas Terrace Walkway which had not been properly authorised. Some councillors thought that this was unimportant but this gets to the heart of what the council is for and the role of councillors in overseeing the work of officers. I am sure that it was an oversight but we nearly had the situation where a contract worth £723,579 was started without any authorisation to spend the money. Who would have paid if this had not been rectified? I will be writing to the Chief Executive to make sure that processes are in place to prevent such a thing happening again. On Sunday I attended the Civic and Academic Mass for the Feast of Christ the King at St Andrew's Cathedral on the Nethergate. Each year the Roman Catholic Diocese of Dunkeld invites councillors, parliamentarians and others serving in public life as well as representatives of both universities. The Diocese always thanks us for our service, whilst I certainly wasn't looking for thanks it is always very nice to receive thanks anyway. I was sad to see that Bishop Vincent Logan was not present due to ill health but it was very nice to see Bishop Nigel Peyton of the Scottish Episcopalian Diocese of Brechin, in what Father Jack from Father Ted would call 'an ecumenical matter.' Canon Michael Milton from St Andrew's Cathedral celebrated the Mass and in his homily he challenged all of us to work towards building a kingdom of justice and peace. The welcome at St Andrew's Cathedral was as warm as ever and the music in the Liturgy was very, very good. On Saturday I was really pleased to meet Paula Grubb a student at Duncan of Jordanstone College of Art and Design at the Show Off pop up shop in the Wellgate Centre. This project brought together a wide range of artists and makers. It allowed the students to experience a little bit of the real world. This was a live opportunity to sell their work in a commercial environment. It was good for the Wellgate because it brought a little bit of colour, excitement and life to the centre. 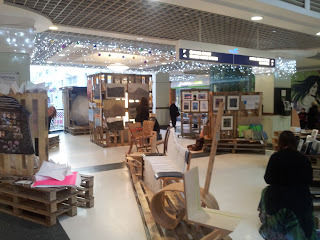 Though it was underneath the clock which may well be my favourite part of the Wellgate Centre. I will be speaking to Dundee City Council to see if there are any shops or other spaces where the council could assist with facilitating pop up shops like this. This would be good because it could bring some vibrancy to areas and would be a good opportunity for students to learn about marketing their art. It could also bring some culture to to areas around the city. 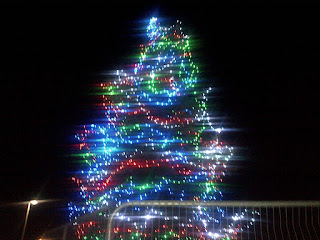 On Wednesday evening I was delighted to attend the Christmas concert at Dundee West Church. Yet again the talent on display from the schools of the West End was remarkable and we were also treated to a performance by Loadsaweeminsinging. 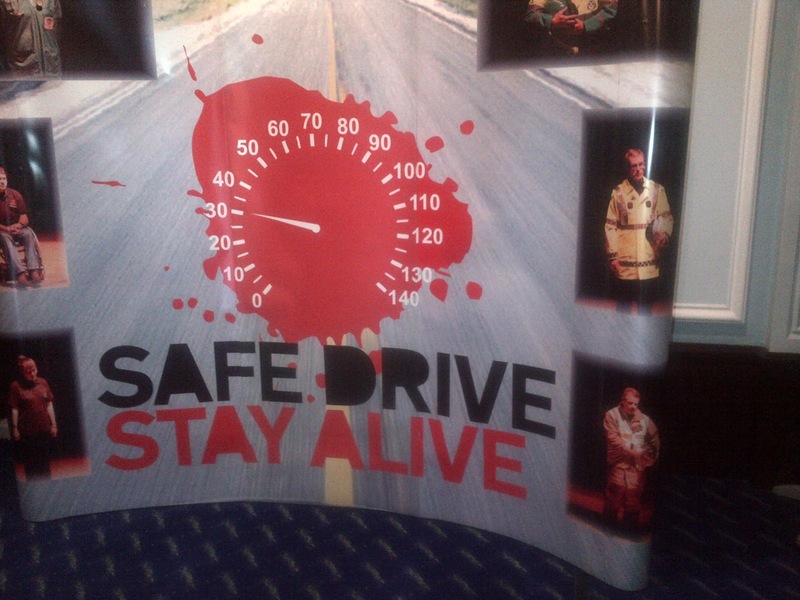 As a member of the Tayside Fire and Rescue Board I was invited to attend a presentation for fourth year pupils on road safety in the Caird Hall. 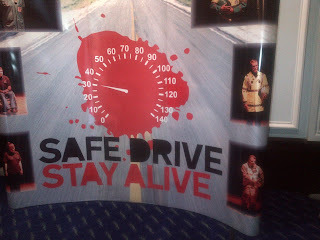 Safe Drive Stay Alive is a very harrowing presentation of the dangers which are present for young drivers. It presented the problems which can come about as a result of young people speeding or showing off when driving. It was shocking that the presentation claimed that the biggest killer of teenage girls is teenage boys driving. We also heard from the father of a five year-old boy who was killed by a drunk-driver. It was shocking to hear his story. I do hope that the young people there will think carefully about their behaviour when they are able to drive. This was a harrowing event and certainly made me think about road safety. Well done to those who organised the event. On Monday evening I attended the November meeting of the Development Management Committee. There was a fairly light agenda for this. We accepted an outline planning application for a manufacturing facility for offshore renewables at Dundee Port. I welcome this and look forward to a full application possibly coming forward. I hope that Dundee is able to attract a company to use such a facility sooner rather than later. There was also a planning application to allow JTC in Harrison Road to operate a wood burning plant which would produce electricity. I supported this proposal as I think that it is good to have a sustainable use for offcuts from the joinery works here. I did ask a question about whether we were setting a precedent in favour of all biomass plants by agreeing last night's proposals. I was reassured to be told that each planning application is treated on its own merits and that no such precedent was set. On this basis I was very happy to support the proposals put forward at the committee meeting. I've reiterated my call for West End residents and businesses to make their views known on the proposed residents' parking scheme. On Monday I was at the well attended exhibition at Blackness Library to give residents more information about the scheme. There was a good turnout at the meeting in Blackness Library but it represented only a small proportion of the people of the West End. I am very clear that everyone with a view on these proposals should make their views known. It is important that whatever the decision that is taken is in line with the views of the majority in the West End. Many people at today's event were raising concerns about the proposals with me and it is important that each and every one of those concerns is fed back into council. As a local resident I am aware of some of the concerns that people have been raising, I know that people are concerned about the cost; about whether this will merely move the problem; about whether they can get visitors or deliveries; and about the impact on local businesses. I will certainly be expecting the report on the consultation to include these matters. My message to the people of the West End is clear - make your voice heard - tell the council what you think about this important issue. 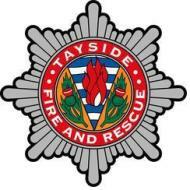 On Monday morning I attended a meeting of Tayside Fire and Rescue Board. The main focus of the meeting was looking at how we move towards the national fire and rescue service. It is important that Tayside Fire and Rescue keeps its eye on the ball in the run up to the new national Fire and Rescue service and ensures that people in Tayside continue to receive an excellent service from Tayside Fire and Rescue Service. One of the items reported was on the campaign supported by Tayside Fire & Rescue on the danger of fires in wheelie bins particularly in tenemental areas. I raised some issues about this; namely that it is really important that Tayside Fire & Rescue and other partners deal with this issue. I raised my concerns that it is important that this campaign is aimed at students and at landlords. 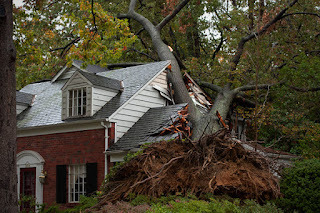 It is important that landlords take their responsibilities seriously. 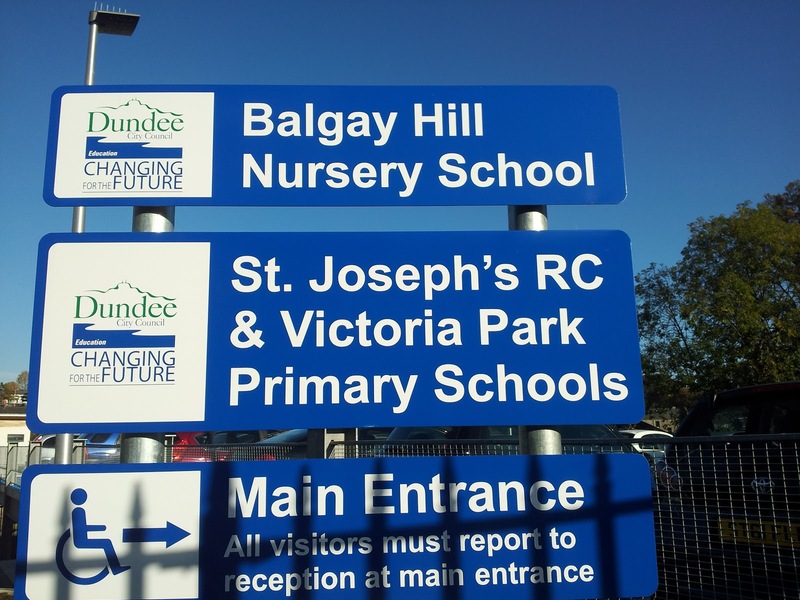 The new West End schools finally opened for business yesterday I was pleased to join pupils from St Joseph's and Victoria Park Primaries and Balgay Hill Nursery walking to their new schools from their old schools yesterday morning. It was great to see the excitement of the young people as they went to their new school. It was good to see the new campus open after a process which has had its ups and downs. 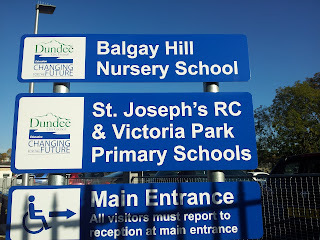 I hope that Victoria Park, St Joseph's and Balgay Hill are successful in their new homes and I wish them all the very best in their new schools. I was pleased to see that the various traffic measures which were to be implemented had been. I had sought an assurance about this from council officers in September and I am glad to say that they delivered on their promises. As I said at that time I will be keeping a very close eye on road safety in the area. If anyone has any concerns about this I would be very grateful if they could raise them with me and I will seek prompt action from the City Council. I was very sad to hear of the death of the man described by today's Courier as 'Dundee's Bard' Michael Marra. I would like to offer my sympathy to Michael Marra's family and friends. His death may well be a loss to the artistic community but it is a great loss to his family at a young age. Michael Marra wrote many excellent songs which spoke eloquently of Dundee and of his life experience. I am particularly fond of his work at Dundee Rep on the Mill Lavvies. The song above comes from that play and is one which I particularly like. I also liked the way which many of the locations of songs he wrote were in the West End of Dundee. As an adopted Dundonian I hope that I am also able to draw attention to his song 'Mother Glasgow' which speaks about the city I was born in. I was thinking that there should be a lasting tribute to Michael Marra in the city that he wrote so movingly about, and I was thinking about what it could be. I was therefore pleased to see that his family are setting up a trust fund to help bring the 'El Sistema' music project to Dundee. El Sistema is an intensive music tuition programme for children and young people I would certainly like to see it in Dundee and if it did come about I am sure that it would be a fitting tribute to a man who brought great joy with his music and who also made people think with his writing. I hope that Michael Marra's contribution to the culture of Dundee, of Scotland, and indeed the world will be marked in a fitting manner and that in so doing some comfort will be given to his family. R.I.P.